With the hiring of a new chief information security officer last week, Washington state’s IT department is now filling its remaining leadership positions. 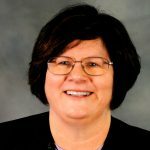 Washington Technology Solutions Director Jim Weaver announced Thursday the hire of Sue Langen as the new deputy director for the Office of the Chief Information Officer and Scott Barringer as assistant director for the agency’s computing services division. Langen, who has worked for the state for 25 years, including a stint as the chief information officer at Department of Social and Health Services, was appointed acting director of OCIO in November 2017, following the departure of former state CIO Michael Cockrill, and later served as the office’s acting deputy director. Langen now oversees the technology agency’s privacy and open-data projects and policy and manages roughly 34 employees within WaTech’s cybersecurity office. Barringer, who was put into an acting role with the computing services division last November, leads about 65 employees managing the state’s servers, storage, systems applications, messaging, mainframe and identity-access management systems. 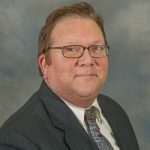 In previous positions, Barringer served as an IT director for a local YMCA and a solutions architect for Cascade Technology Solutions in Seattle. Both Langen and Barringer will report to Weaver, who was hired as WaTech’s director and statewide CIO last December after more than two decades working for the commonwealth of Pennsylvania.